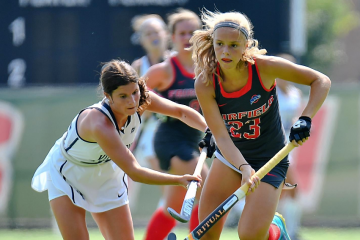 With the Metro Atlantic Athletic Conference Championship looming, the Fairfield University Field Hockey team looked to finish the season on a strong note as it faced off against two conference foes in Siena and crosstown rival Sacred Heart. The Stags split both games, taking the first at home by a final score of 4-0, but falling 2-0 on the road. On Friday, Oct. 27, the Stags hosted their final regular season home game at University Field when they versed the Siena Saints. Before the game commenced, the Stags took some time to honor the Class of 2018 comprised of seniors Jamie Appelberg, Erin Buckley, Corrine Baliga, Jaclyn Gallagher, Bridget Miles, graduate student Hannah Pike and Andrea Soler prior to the game for their hard work and dedication to the program over their time as Stags. On a day where the seniors were honored, Fairfield’s seniors led the way for the Stags as all four goals in the game came off the stick of a senior while two of the Stags’ three assists additionally came via a senior. Soler got things going for the Stags on offense as she would start the game scoring two quick goals to give Fairfield an early 2-0 lead. Soler, who is the newest Stag after transferring from Missouri State University, has made an impact. Although only one season under her belt at Fairfield, she leads the team with a total of seven goals while also compiling 17 points on the season. The next two goals came from the senior duo of Appelberg and Gallagher, two of Fairfield’s most consistent players throughout the season and over the course of their time in the red and white. The third goal of the game for the Stags came after Appelberg knocked in a goal coming off a feed from classmate Gallagher. The Stags’ final goal of the day came when Gallagher drove by the opposing defense after receiving a long pass from Pike to give Fairfield their fourth goal of the game, which would be good enough for a 4-0 Fairfield victory. Although Fairfield displayed a great offensive showcase against Siena, they performed just as well on defense, shutting out the Saints. Fairfield was led by the cast of Baliga, Buckley and Miles who controlled the pace on the defensive end to help goalkeeper Caitlin Gilligan ‘19 ensure her third consecutive shutout. Following the Senior Day victory at home, the Stags looked to carry the momentum when they traveled to Yale to take on the Sacred Heart Pioneers on Sunday, Oct. 29. Unfortunately for the Stags, despite a strong shooting start to the game, they were unable to land a goal past Sacred Heart’s goalkeeper as they were shut out, falling 2-0. The loss ended Gilligan’s streak of consecutive shutouts at three games. With the loss, Fairfield finishes the season with a total record of 7-11, while going 4-2 in conference play. Now with the season over, the Stags look to make some noise this weekend when they start the MAAC Championships. After finishing the season with a conference record of 4-2, Fairfield earned No. 3 in the tournament. 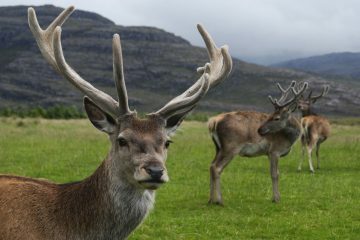 The Stags are set to face No. 2 LIU Brooklyn who also finished with a 4-2 record but earned the top seed between the two due to a head-to-head tiebreaker with Fairfield. The Stags will start their quest for the MAAC Championships Friday, Nov. 3 when they take on LIU Brooklyn. 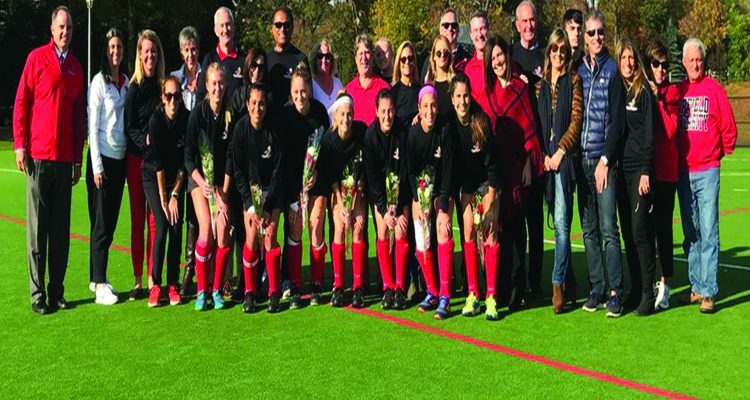 Fairfield looks to make it to the MAAC Field Hockey Championship Final for the third consecutive season, as they hope to advance and take on the winner of Monmouth University and Rider University.